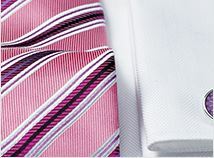 This classic poplin and herringbone shirt is the perfect choice for a gentleman who looks for both quality and style. Great value excellent quality clothes and accessories with first class customer service. What more could you want. Lovely clothing and terrific service. The transaction was dealt with expediency and the product was every bit the good quality they promised. The shirts arrived within 2 days and I was delighted by the feel and fit. I will definitely purchase from this company again and highly recommended them. 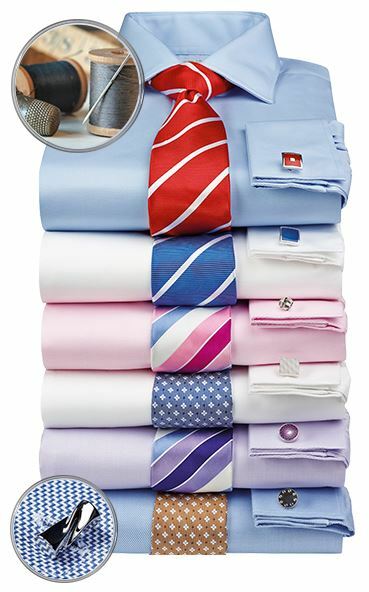 I recently purchased 6 100% cotton non iron shirts ( using the 3 for £45 discount) Nobody can match the price or quality offered and I am not planning to use anyone else from now on. Excellent shirts and delivery. Faultless product and by taking advantage of various discounts very good value for money. There was a problem with my order but BROOK TAVERNER resolved it very quickly. This Company have excellent communication skills with customers like me. Their shirts are very good quality. I would recommend this Company. 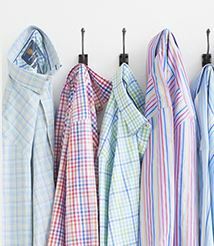 First order with Brook Taverner and very much like the quality of the shirts ties and shoes - will be cutting a dash in the office! Enjoyed my online shopping, the quality of the items purchased met with my expectations, will certainly do business again with this value for money company, with great sale items at knockdown prices. 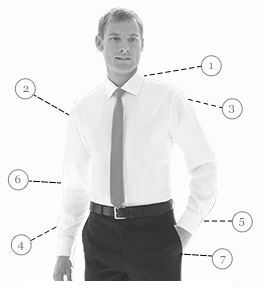 Excellent shirts, very comfortable and in some ranges a breast pocket is provided without additional cost. Great value. I find the shirts for the fuller figure very comfortable and of a generous size. Three shirts were received very quickly. Shirts have been tried on and feel comfortable and of good quality. Ordered Some Shirts Recently and they arrived very promptly. The quality is superb and I look forward to placing another order very soon. 2 good shirts for No 1 son and a blue cotton Oxford button down collar for me worn to a 2 day rally at the O2 this weekend. Lovely finish and fit as always. Not my first order and definitely won't be my last either. 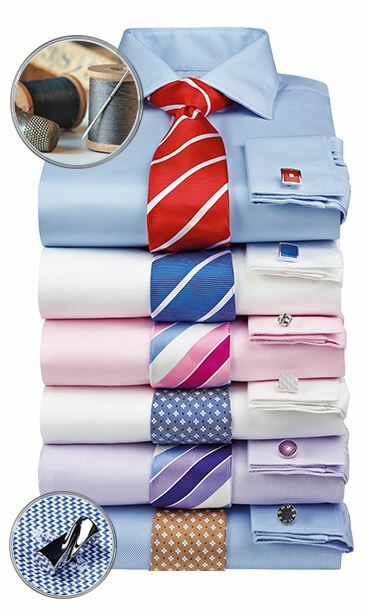 Excellent quality garments with enviable reputation for customer service. Lovely shirts. Generous cut. Low prices. Easy maintenance. ordered shirts on line good quality good service. Not my first order and definitely won't be my last either. Excellent quality garments with enviable reputation for customer service. A highly recommended company.